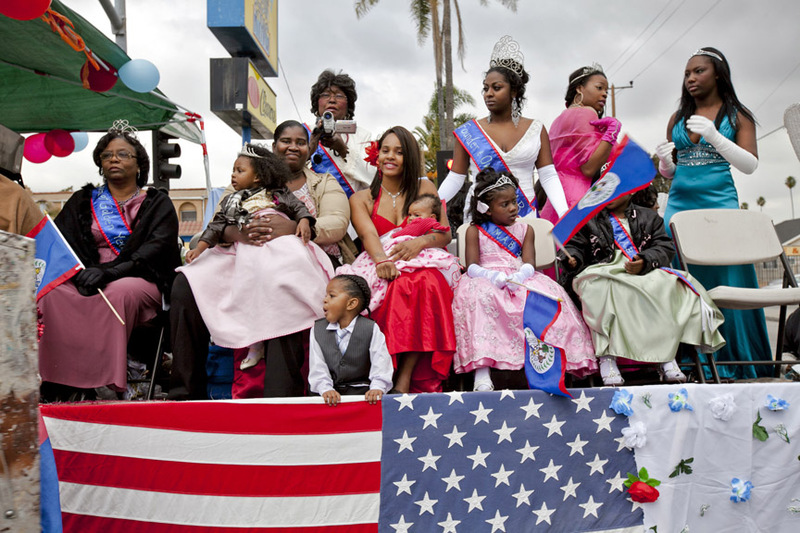 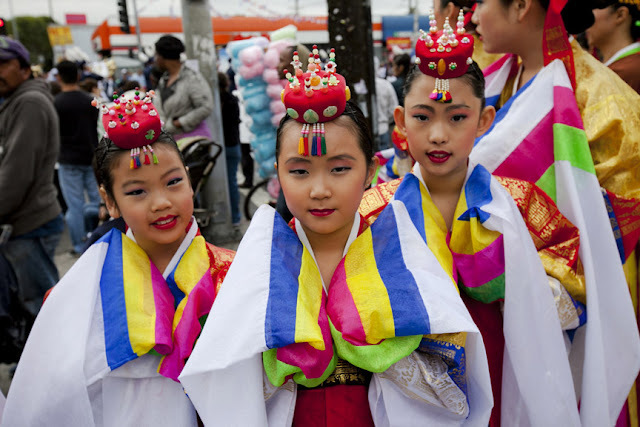 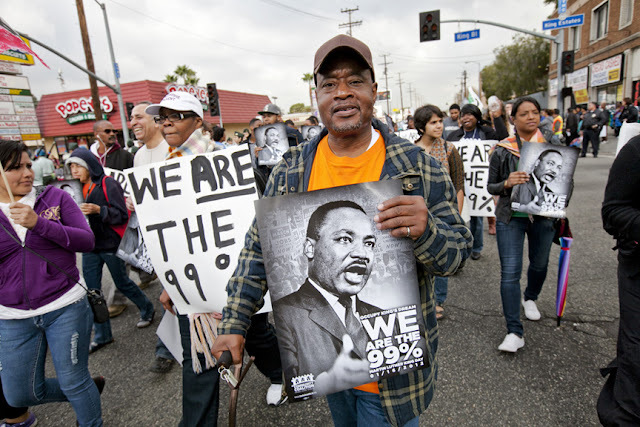 The Martin Luther King Jr. Day Parade in South Los Angeles. Thousands of people lined up on MLK blvd. 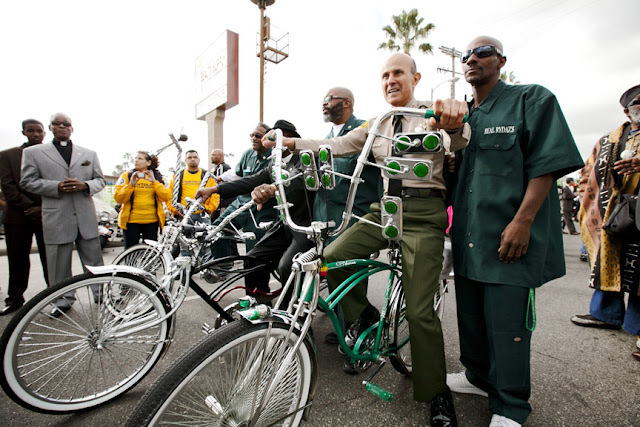 from Western to Crenshaw to watch bands and floats pass by. 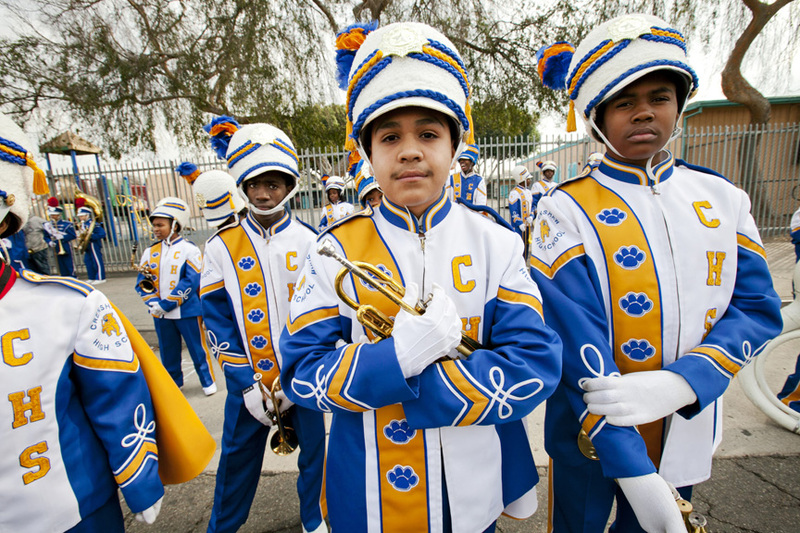 Los Angeles Unified All District Band. 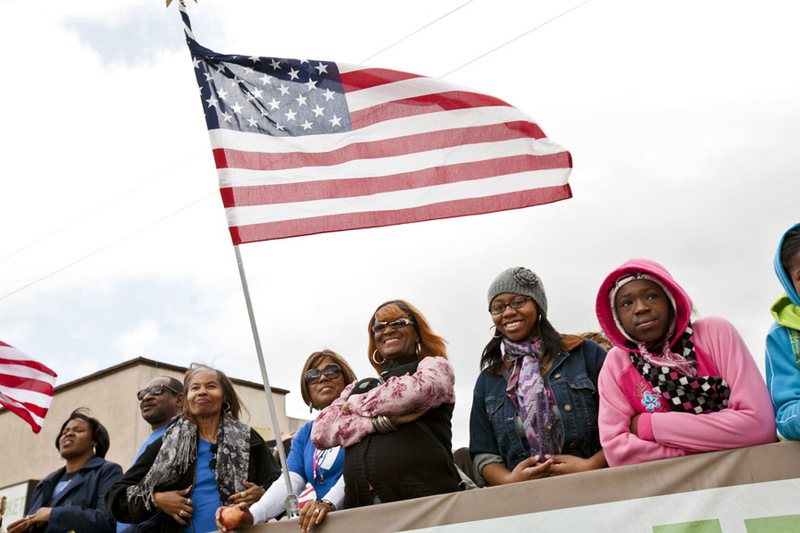 Parade watchers on MLK Blvd. 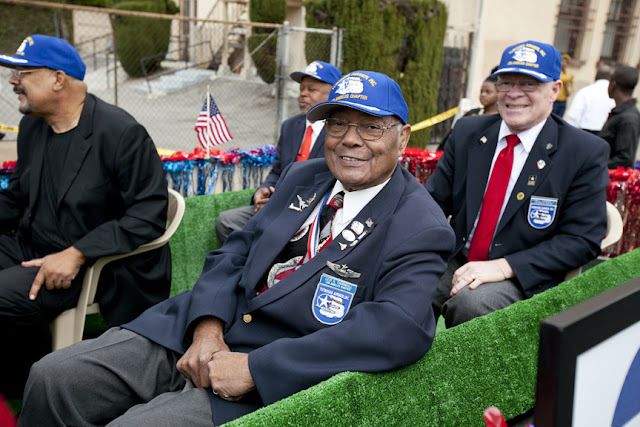 Tuskegee Airmen in their float. 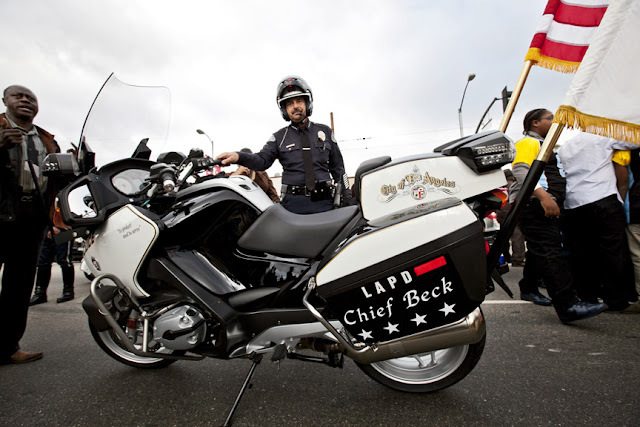 LAPD Chief Charlie Beck and his motorcycle which he drove in the parade. LA Sheriff Lee Baca on a low-rider bicycle. 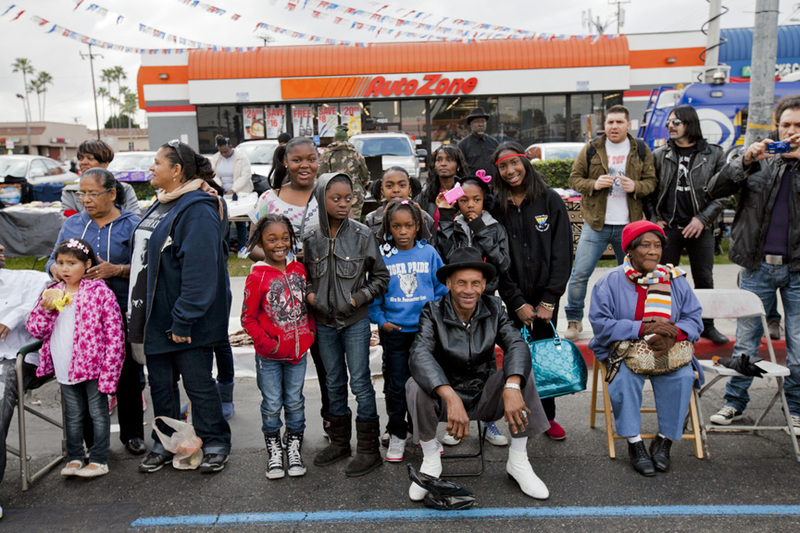 Occupy the Hood on Western and MLK Blvd. 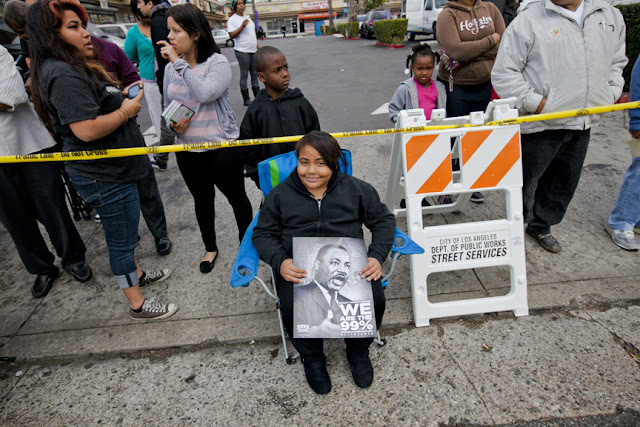 Parade watcher on MLK Blvd. 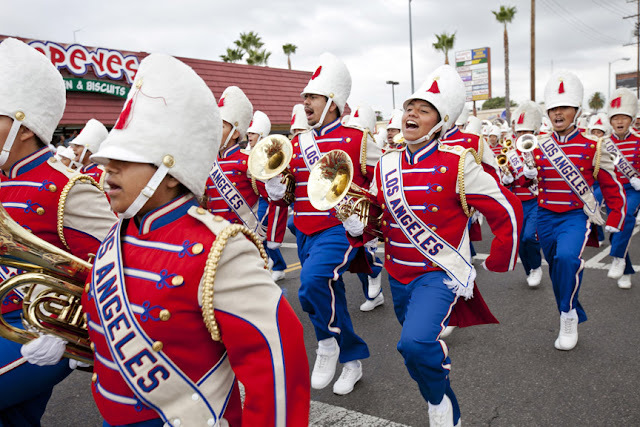 More fun than the Rose Parade.